The quick answer: Whole grain flour should be fresh. We’re going up to San Francisco in the morning. The Beautiful Wife will shop for Christmas ornaments with the other women of the family I grew up in. It’s a tradition. She tries to buy ornaments as gifts for the kids that recognize some achievement of the year. I like that idea, that when you decorate your tree with these collected ornaments you revisit the important steps of your life. And San Francisco is ground zero for serious bread baking, which fits into this post. America is finally done with Wonder Bread. The company went out of business—I guess people stopped buying. So here’s the next thing in healthful bread: Whole Wheat Sourdough. You know why whole wheat is best. So now we’ll talk about the benefits of sourdough. Mike Pollan, the best nutrition writer of our time, came out with a book this year: Cooked, A Natural History of Transformation. It’s not as good as In Defense of Food, but it does have an interesting section on the use of sourdough. The long fermentation of sourdough breaks down the phytic acid in grains that locks up the minerals. We need these minerals, for example, to build strong bones and avoid osteoporosis. With sourdough breads the calcium and phosphorus are more bio-available. The long fermentation more thoroughly breaks down the gluten proteins that are problematic for some people. There’s another benefit, sourdough breads have lower Glycemic Index (GI), important for prevention of diabetes. That’s pretty much the message of 86 pages of Pollan’s writing. The last bakery I went into, I asked to speak with the manager. I had a question: Do you offer sourdough whole grain bread, and if not, when? He was baffled by my question. So I have a question for Old Town Baking: How fresh is your whole grain wheat? This is the next frontier in flour because whole-wheat flour doesn’t keep well. It’s best if you grind it at the time of use because the omega-3 fats and some vitamins are attacked by oxygen in the air once the protective husk is removed. That’s the holy grail now—sourdough whole wheat bread make with freshly ground flour. You can do this at home if you keep a sourdough starter. That’s our next step. #10: Bread should be whole grain with more natural fiber (see the nutrition panel) than added sugar. #23: Eat a variety of whole grains. #36: Use fresh whole-grain flours. I think we’ll modify this week’s post when we have more experience cooking with sourdough starters. Maybe it’ll say: Bake your bread using sourdough starter and fresh-ground grains. I like this, that we keep improving the Healthy Changes. I love simplicity, not just for its beauty, but because its the key to survival. I like to watch TV cooking shows but in the end, the food seems way too complicated for real people. Alice Waters, known for using seasonal and local food in her famed Chez Panisse restaurant, based two recent books on the “art of simple food.” It’s in the titles. When the Beautiful Wife and I sit down to a meal that’s simple, appealing, and healthful, we feel like we’re finally starting to get it. I had promised to share a recipe for blackened salmon, so here it is. It’s terrible that I call this “Skip’s” because I didn’t invent any part of it. I guess it’s just a way of saying I endorse it. I prefer “wild” salmon, but we mostly buy the farmed salmon at Costco. The package is 2 to 2-½ lbs. and I divide it into five or six portions, wrap them in freezer paper and a plastic zip-loc bag and slip them into the freezer. Our goal is to eat fish twice/week so we’ll have salmon for one meal and perhaps a shrimp or crab salad the other meal. We’ve tried several ways of cooking salmon—boiling, baking, and frying—and frying is our current favorite. Thaw the salmon, coat it with a blackened seasoning (we use Cajun’s choice), and put it in a frying pan with a little olive oil and butter over medium heat. You want to hear a little sizzle. The exposed edge of the fillet is the sign of “doneness.” Depending on thickness, it may take 10 minutes for the first side and 6 minutes for the second side. Any man can do this. For a salad the Beautiful Wife is using Costco’s Sweet Kale Mix, which claims “7 super foods." We like the convenience and think it a good example of minimal food processing. The oven-roasted potato wedges are simply cut with the peel on, tossed in a little olive oil with black and red pepper and salt, and then placed in a 400 degree oven. It takes about 20 minutes for the first side and 15 min. more after turning over. You can set the table and organize the rest of the meal while the first side is roasting. This is one of our favorite meals—it’s simple, healthful, can be prepared in 40 minutes (the potatoes take longest), and a good value—two can eat for under $6 total. Oh, the lemons come from our tree so they're free. Please comment: Do you have a favorite meal that’s simply healthful? Please share. We ought to collect these in a book of menus complete with recipes. It could be called "Simply Healthfyl Word of Wisdom Meals." A good project for 2014. Thank you for the many kind and thoughtful comments to the last post. It was wonderful and I’m much encouraged. The Beautiful Wife dearly wants trick-or-treat children to be happy. To my chagrin, she buys a lot of candy. “It’s just one day of the year,” she reassures me. But this year I also bought apples—for an experiment on our little guests. “Here’s the deal,” I greeted the kids, holding up two bowls, “you can have all the candy you can grab, or one of these tasty Honey Crisp apples. But you have to choose—you can’t have both.” Now that’s a hard black-or-white choice. I feared the worst—that the apples would remain untoucheed as greedy fingers reached for candy. But the kids rose to the occasion—over half choose apples and I was euphoric. The mothers of younger children were usually nearby, a little surprised to see their family nutrition values put to the test on Halloween. When their kids chose apples, I congratulated the mothers, who seemed relieved. The older kids presented a dichotomy. Girls mostly chose apples. One said, “Oh good, I actually was hungry.” I liked the idea that candy wasn’t what you ate when you were hungry. Boys, by contrast, didn’t even pause as they grabbed big handfuls of candy. In that moment I could see the future of the fast food business—as people become more informed about nutrition and drift away, young men would remain their victims. But overall I was much heartened by our Halloween experiment. The next morning on Facebook I read about a lovely girl from this area, now a mother, who had a hilarious time handing out celery! “Recipe Rehab,” (sponsored by a for-profit start-up, Everyday Health). Jamie Oliver’s “15-Minute Meals”, an idea also offered by Rachael Ray, Martha Stewart’s Real Simple, and a host of imitators. Why was I critical? These guys are all in this for a profit and that always compromises what they present as they depend on advertising dollars from Food Inc. Just watch the advertisements—you don’t see real fruits or vegetables advertised, just Food Inc stuff that comes packaged, or drugs to treat the problems packaged food creates. That’s why this blog doesn’t accept advertisements. Conventional wisdom #1: Fat is bad. We say the opposite—fat is a vital, necessary nutrient, but you must choose healthy traditional fats (butter, olive oil, fat on pastured or free-range animals). By the way, if you taste compare domestic olive oil (most comes from California) against the imported stuff from Europe (often adulterated with cheap oils and slightly rancid) you’ll love the domestic. Conventional wisdom #2: Salt is bad. Actually, when you chose natural foods instead of highly processed food-like substances, the salt problem goes away. A reduced-salt product from Food Inc is still an unhealthy choice. Just make your own food and keep sea salt with all the trace minerals in your pantry. Conventional wisdom #3: Calories are bad; reduced-calorie is good. This is a big misconception—calories give us needed energy for life. Natural foods are dense in nutrients and low in calories—the right mix. The packaged stuff made by Food Inc is just the opposite—high in calories (from sugar, their main “taste” and highly-refined vegetable oil) and low in nutrients (to give a long shelf life). That’s the wrong mix. I’ve been reading a 1989 cookbook Lemon Twist by Ruth Reeder, suggested by a neighbor who knows “Ree,” as she is called. I’m loving the idea of how many dishes are improved by a twist of lemon. For example, there’s Skip’s Blackened Salmon, a recipe I’ll share in the next post. Please comment: Do you have a favorite cooking show, or book, or recipe? Please share. The quick answer: Essential omega-3 fats are vital to your health but just remember you need both short chain (from plants) and long-chain (from fish and animals that eat those plants). Well, it’s true that I’ve posted less often of late but I’ll make a promise: If readers will comment more (sharing healthy eating ideas), I’ll write more too. That’s my promise—it’s a win-win. It’s interesting that while comments have declined, readership continues to grow. So thanks, everyone, for making this the premier Word of Wisdom site. Please note that it’s also non-commercial—no ads. Meat and healthy fats are separate themes in our 52 Healthy Changes, but there is an intersection—modern meat contains significant fat. So if you eat meat “sparingly,” you’ll likely consume less fat. There are lots of reasons to eat meat sparingly—some sources say that over 90% of the pollutants in our diet come from meat! So “sparingly” is good, but choose meat from healthy—meaning "pastured"—animals. Pastured meat has a lower fat content but more long-chain omega-3 fats as well as more vitamins. In the last generation official sources made war on fat—fat came to be bad, a cause of heart disease. That was a big mistake--dietary fat doesn't cause heart disease. We need fat, in moderation. Fat is critical to our bodies; 60% of your brain is fat and ¼ of it is long-chain omega-3. So brain health depends on eating longer omega-3 fats. Short-chain omega-3 fats: Plants, especially the green plants that cover the earth, produce these fats. Green organisms in our oceans are another big source. Long-chain omega-3 fats: Animals (and fish) eat those plants and convert the short-chain omega-3 fats to the long chain form. The two most critical are known by initials—EPA and DHA. Eggs (especially from pastured chickens that get lots of sunshine, greens, and bugs to eat) were discussed here. We should also add pastured meats as a 3rd source. I say “pastured” because when an animal is on the high grain diet used in feedlots, their omega-3 fat content steadily decreases and omega-6 increases. We need both but the ratio in pastured animals is healthier than in feedlot meat. That’s one reason to include lamb and buffalo meat on your menu—these are generally pastured and not taken to feed lots. Please comment: How do you include the long chain omega-3 fats in your diet? Have a recipe to share? Later we’ll post the recipe for Skip’s Blackened Salmon. The quick answer: Legumes are the best-kept secret in nutrition. Americans need to eat about ten-fold more legumes, about one serving daily. Learn how to do it and you’ll save your health as well as the pocketbook. Last week I told the pathetic story of how the beautiful wife and I struggled to care for four grandchildren for a few days. This drove home a hard lesson: To provide healthy meals to the growing family, busy moms must stay organized and keep things simple. Salmon (we try to eat seafood twice a week). We buy the whole fish, skinned, at Costco, divide and wrap it up in single-meal portions, and place them in the freezer—it’s the best value in seafood short of catching it yourself. This night we simply fried the fish in olive oil and butter with a natural blackened seasoning mix, and garnished a lemon off tree. Salad, made from Costco’s 7 Superfoods Sweet Kale mixture (the 28-oz package lasts us most of the week), with some red grapes added. Sweet potato (with a little butter and brown sugar). This was as simple as a meal can be—I cooked the salmon while the BW made the salad and mic’d the sweet potato—and totally healthy. The only easier meal is leftovers and we do that too. Value: Legumes are flat out the best nutrition buy for the buck. I walked through the bulk bins of the local Sprouts and saw these bargains: 10-bean mix, $1.29/lb; pinto beans $1.49/lb; black beans, $.99/lb; and green split peas, $.99/lb. Remember these are dry weight so the cost per pound cooked is a fraction, as low as $.30/lb. Fiber: Legumes are a rich source of fiber. We should get 25-38 grams of fiber daily, depending on age and size. A ½ cup serving of legumes may contain 7-9 grams of fiber, or about 1/3 of the daily recommendation. Minerals: Legumes are a good source of minerals, including calcium and magnesium needed for bone health. Vitamins: Legumes are a good source for the B complex vitamins, especially folate (folic acid, or B9), vital to reducing NTD birth defects like spina bifida. Shelf life: A lot of toxic stuff is added to factory food to improve the shelf life. Good stuff, like omega-3 fats, is removed for the same reason. But traditional dried legumes enjoy a naturally long shelf life and are a good way to store food and avoid preservatives. Your own shelf life: In the “Food Habits in Later Life Study,” legumes were the only food group with a proven longevity benefit. For each 20-gram daily intake (about 1/3 of a serving), the risk of death was reduced 6% (for people 70 or older). Well, you get the picture. Legumes, whatever the type, are high in nutrients and low in calories. Toss some garbanzo or kidney beans in your salads, or enjoy humus on whole grain crackers. Or try our recipe for Split Pea Soup with Hambone. If you want to get fancy, try this recipe for Roasted Salmon with Black Bean-Quinoa Salad, from The Bean Institute. How about that—the humble bean gets its own institute. Please comment: Share your favorite legume recipe, or tell about your favorite legume. Our creative daughter went away to a conference, taking her husband, so the beautiful wife and I looked after the four grandkids for what seemed a week or more. It was actually just three days. We thought it a simple assignment; after all we had reared six children back in the day. Well, we totally had forgotten how hard caring for young children (ages 1 to 9) can be. We were always a step behind and came home exhausted. He discovered a can of soda in which he somehow created a pinhole leak. By simply shaking the can he painted most of the bathroom with root beer spray. At dinner he wasn’t loving the sweet potatoes so I added a little applesauce to each spoonful. Turning to reach the applesauce I let the first container come within his reach and with a surprisingly strong swing he sprayed sweet potatoes over my slacks and the (formerly white) carpet. Getting out of the car he explored the front wheel and got black brake powder on his hands and put them on the Beautiful Wife’s white slacks. She’s still trying to get those black smudges out. Later, I thought he had injured his head but it was just purple marker ink. Then I noticed the stains were artfully applied to the back of his shirt and couldn’t figure out how he did that—until I noticed his 3-year old sister nearby with a mischievous smile. It was three nonstop days of action alien to our usually serene life. The worst thing was that we didn’t feed them a single healthy meal. The first night we went to In-N-Out (returning from soccer practice); the next night it was Taco Bell; the last night it was mac ‘n cheese from the blue box. I know that’s not healthy for the precious grandchildren, but we were tired and the bad stuff is so easy. The next day at a family dinner I turned to the four young moms and expressed our admiration for how they manage to rear their families, day after day, week after week, without ever a complaint. Or even a visit to a psychiatrist. The Industrial Revolution changed everything—some times for the better, but not always. It did away with backbreaking labor, for example. But it also brought a thousand laborsaving devices that each reduced the need to use our muscles. So now we’re faced with a question that we haven’t adequately addressed: How much labor is optimum? How muscular should life be, in the best of worlds? When do we cancel the lawn service and trash some of those laborsaving gadgets? Young moms are pretty strong because they hold growing babies until they can walk on their own. But most Americans don’t use their muscles enough. What you don’t use, you lose. And when you lose muscle, you also lose some of the supporting bone. We talked about this last year in the post, Be Muscular. Go back and take another look at the three images showing the amount of fat, muscle, and bone mass in the legs of triathletes and a sedentary person. The more muscle, the more bone mass. The less muscle, the less bone mass, and in this case more fat. Good health requires good muscles. So find pleasure in using your muscles, in doing things that are hard. Using your muscles actually reduces stress and improves mood. Try doing a few pushups. Do them regularly and take pride in how many you can do. When you walk, look for a hill to climb, or some bleacher steps. Be muscular—you’ll feel better and also look better. Please comment: What do you do to maintain—and build—muscles. Have you discarded any laborsaving devices? Do you feel differently now when you do physical work? The quick answer: Lunch can be healthy, even if eaten away from home. With Healthy Change #4 we noted that breakfast was the easiest meal to reform, so a good place to start. Rather than skip breakfast, or dish out heavily marketed cereals that are more like candy in a box, we said: “Eat breakfast; cereal must have more grams of natural fiber than added sugar.” See our 2012 post for some great reader comments. Thirteen weeks later Healthy Change #17 addressed the family dinner, a disappearing tradition in America. There was hidden wisdom in the saying, “Eat dinner as a family.” The idea was that if a family would eat together, they were more likely to cook real food rather than serve purchased stuff. So now we come to lunch, timed to coincide with the start of the new school year. I took the faded picture above in Central America, some fifty years ago. We met the young boy walking along the road, taking lunch to his father in the field. The clay pot contained a "sack lunch." I loved his happy and wholesome look, complete with cowboy hat over a home-done haircut. You have to admire his artful pose. The lunch was simple, beans with homemade corn tortillas. Fruit, especially mangos and bananas, grew freely in the area. Note the homes in the background—traditional bamboo huts with thatched grass roofs—that would trump any modern “green” home contest. Though I likely thought it curiously primitive, today we would admire this boy’s life as “living off the grid.” With all our advantages, we can eat as naturally as the boy in the picture. Fruits are easy: apple, orange, banana, grapes, dates or dried mangos with nuts, there are lots of choices, you can even make a fruit cup. Fruit can also be added to the low-sugar yogurts. Veggies like carrot sticks, celery, or hummus with cucumbers or cherry tomatoes are all good. Sandwiches are a little harder but if you use an insulated lunch box with ice packs, there are more choices: PB&J is a classic, or try PB on banana bread. Preserved deli meats have been sandwich favorites but limit use to once a week as suggested in this post. The tuna fish sandwich is another favorite; add lots of chopped celery; the lettuce can keep the bread from getting soggy. Try sandwich alternatives, like leftovers from favorite foods. You can also use pita pockets with cheese, or a quesadilla. When winter comes, warm soup in a thermos is comforting. Sweets should be a treat, an exception, not a daily expectation. Cookies made from healthy recipes also contain a bit of mom's love. I especially liked the reader comments from this post, which can be seen here. A favorite idea was lunch in a “bento” box, the little sections can nicely present healthy treats. Please comment: Share with our readers your best “healthy school lunch” ideas. Sharing makes our Word of Wisdom blog community part of the food reformation. The quick answer: In the food reformation, there will be back-sliding. The key is to gather yourself up and recommit to improving your diet. Some day, looking back in history’s rearview mirror, upi’ll be able to mark the start of a new progressive movement—the food reformation. Perhaps the year 2000 will mark this new beginning. Whatever the year, if you’re a regular reader of Word of Wisdom Living, then you’re part of that reformation. Congratulations—you’re on the side of the angels. We support the reformation with our 52 Healthy Changes—returning to each change year after year until healthy eating becomes so natural there’s nothing of substance left to change. I’m starting to appreciate that it will take a number of years of steady improvement, marked by occasional slips, to achieve a food reformation in our home. Take menu writing, for example. Healthy Change #3 said: Write a weekly dinner menu and shopping list. For Healthy Change #29 we return to this topic, inviting you to improve your menu writing. We’ve had a wonderful summer with lots of visitors and happy times at the beach. We were busy—besides all the guests we managed to publish a book, and landscape the back yard. It was a memorable summer. But we just realized one thing: We probably only wrote a real menu about one week of each month this summer. That’s a definite “slip.” I could have seen the effect by just looking at our checkbook—when you’re not using a weekly menu and shopping list you run to the store oftener, and waste more money. So we’re reminded that repentance is part of reforming behavior and we square our shoulders and resolve to do better. Healthy Change #29: Improve your menu writing process. This subject deserves more discussion, but we’re getting up early in the morning to drive to little Midway, Utah for Swiss Days and I have to get to bed. But I promise to come back to this topic if you’ll share some comments on how you have improved your menu writing. And if you’re in Midway for Swiss Days, stop by the house and say hello—we’re at the corner of 2nd North and 4th West, the Victorian farmhouse with the wooden statue of a man offering an apple. Our best to you. The quick answer: Despite what you have heard lately about health effects of coffee, a major study concludes the more you drink, the sooner you'll die. 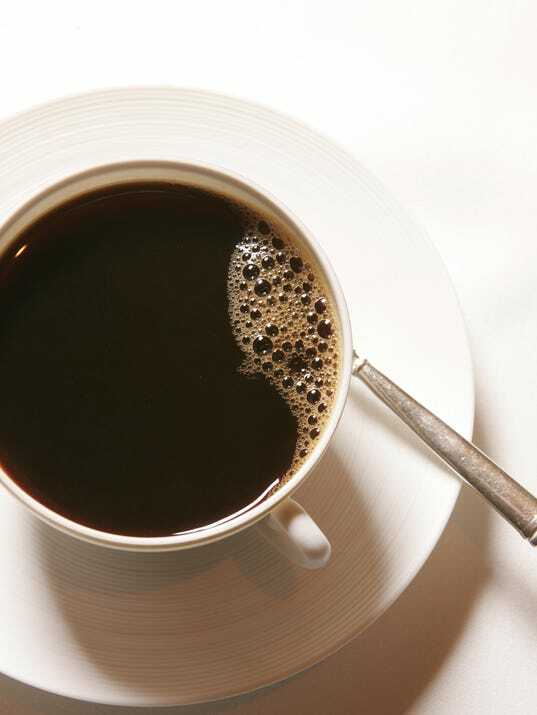 USA Today has a fascinating report on long-term effects of coffee consumption. The Mormon Word of Wisdom proscribes tobacco, alcohol, and coffee. There’s plenty of evidence that tobacco is bad—about 400,000 deaths each year are attributed to tobacco. Likewise, there are about 40,000 annual deaths caused by the use of alcohol. So clearly, this 180-year-old health code was way ahead of its time and those who followed it’s teaching were protected from the twin scourges of tobacco and alcohol. In the case of coffee, however, the actual harm has been less clear. Some sources in recent months have claimed health benefits. So if you abstained from coffee as the nation swooned for their oversized cups of “Joe,” you may have felt like an odd duck—or maybe a wise owl. The Mayo Clinic just published an examination of coffee’s effects summarized from the Aerobics Center Longitudinal Study that ran from 1971 to 2002. The study included 43,727 men and women followed for an average of 17 years—that’s a lot of data. The conclusion? Scientists found a higher risk of death from heart disease and other causes for coffee drinkers. The risk is greatest for women who average four cups daily. This doesn’t mean four servings—Starbucks’ Trenta contains almost that amount in a single serving. The effect was worst for younger people. Death rates for women under 55 drinking at least 32 oz. of coffee daily were a whopping 113% higher than the comparison group. For men under 55 the mortality was 56% higher. These are big numbers! More studies will be needed to clarify the danger and the mechanisms involved. Because the harm clearly increases with dose, prudence suggests that “none” is most likely healthier than “some.” To read more, or to get a link to the formal report, go here. The quick answer: Get your sugar the natural way—the sugar found in Nature won’t kill you. However the refined sugars added to factory foods, especially soft drinks, breakfast cereals, baked goods, and frozen desserts just might. In the year’s repeating cycle of 13 themes, this week would normally be about sugar. Americans love sugar but our consumption—about 100 pounds per year—is destroying our health and the cost of caring for sugar-related diseases (overweight, diabetes, heart disease, etc.) threatens to bankrupt our health system. Healthy Change #1 limited sugary drinks—real or diet—to one (12-oz) serving per week. Healthy Changes #4 & 10 set a bar of more fiber than sugar in purchased grain products (packaged cereal, then bread, but other bakery products also). The ubiquitous nutrition panels on factory foods make the fiber>sugar rule easy to follow. Healthy Change #15 (nicely timed to Easter Week) banned candy by the bag. A single piece won’t kill you but candy by the bag is addictive and unhealthful. From time to time I like to write a book. This is possible because our daughter Brooke is a talented graphic designer (see her blog inchmark). My big goal is to write a book on the Word of Wisdom that would help family cooks everywhere. I have the Quixotic idea that the modern American diet (MAD)—so well entrenched in our food culture—can be reformed. It’s a crazy ambitious dream and this blog was started as an approach to such a book. But the last 90 days I made a side trip—I wrote a book about the funky little beach town where we live. It’s called Loving Laguna, A Local’s Guide to Laguna Beach and you can read about it in our local paper or at the book’s website. The idea behind Loving Laguna is that every town has roots, many spiritual in nature, that make it unique. Laguna doesn’t have a lock on this but it does have an interesting history that seemed worthy of a book. If you have ties to Laguna Beach, or wish to support Skip's literary hopes, the book is available at Amazon.com. Thanks for your support. Copyright; 2010, Skip Hellewell. All rights reserved.